2.Inner ring diameter of dredge cutter head is from 830mm to 2400mm. 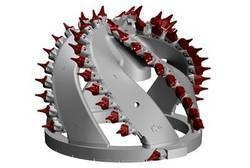 3.The cutter head have replaceable dredge teeth. 4.The dredge cutter head have many applications, can be used for rock, mud, slurry, sand and gravel. To accomplish the numerous requirements of the clients, we are engaged in providing a high quality range of Tool Cutter Head. For cleaning straight and curved tubes. It consists of 3 cutter-wheels (straight-cut, right-cut and left-cut one each) which maximizes descaling speed and avoids grooving of scale. The side plates are reversible and double drilled for optimum use during descaling. We are the leading manufacturer & supplier of Brush Cutter Spare Parts In All Range. We manufacture wide range of Sugar Mills Cutter Head under the Brand name AIRXPA TOOLS. These Cutter Heads are designed for cleaning straight and curved tubes as found in Boilers, Air Heaters, Economizers, etc. Cutter Heads are provided with three cutter wheels, one each of straight teeth, teeth cut right hand, teeth cut left hand, for quicker cleaning and prevent grooving of scale. 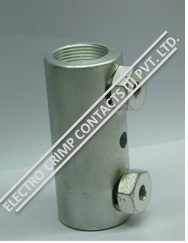 Not Including in railing cutter top radius cutter available as per your requirement.